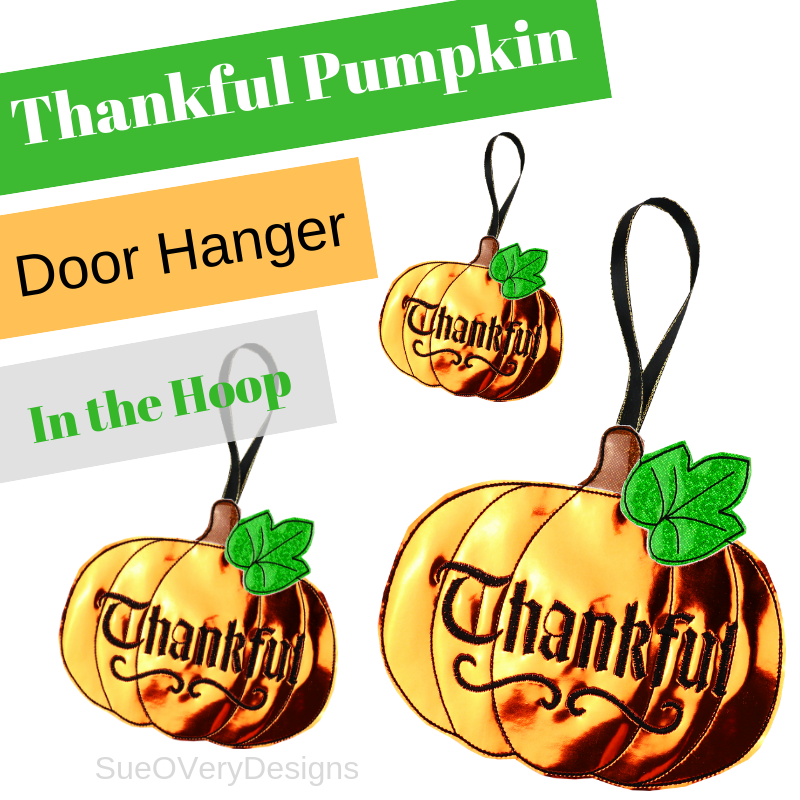 Thankful Pumpkin Door Hanger, In The Hoop - 9 Sizes! It’s that time of the year where the leaves are changing and everything is pumpkin! This is the time of year to be thankful and now you can show your thanks with the Thankful Pumpkin Door Hanger in the hoop. See photos for sizes. It’s that time of the year where the leaves are changing and everything is pumpkin! This is the time of year to be thankful and now you can show your thanks with the Thankful Pumpkin Door Hanger in the hoop. Enchanted Fall Set - 14 Designs!